Let Laundry Day do the dirty work! Just take 2 minutes to drop off your items in the morning and 2 more minutes to swing by later to pick it up. Your laundry will be neatly folded, nicely packaged, and waiting for you when you return. 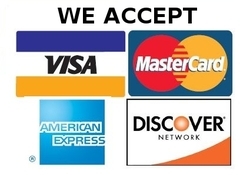 Email us at info@laundrydayinc.com with any questions about the service. *Drop off & pick up anytime between the hours of 7am-9:30pm. How OUR Pick-up and Delivery Service works! We have laundry bags for sale at a cost of $7.00 each. 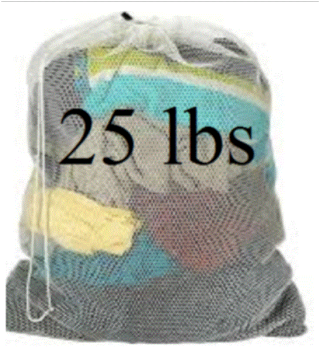 Your laundry will be weighed once it is returned to the facility and you will receive a text for the amount due. 2. Place your name, address and phone number in/on all of the bags/baskets unless you have one of our laundry bags with an ID tag on it. Laundry bags are $7.00 each . 3. Place your laundry in a designated location and someone will be by to pick it up....wash, dry, fold and deliver it to you the following day or another day of your choosing. Prices include Tide, Gain, or ALL (free & clear) detergent, Snuggle fabric softener & Bounce dryer sheets. Laundry will be picked up and delivered between the hours of 7am-2pm with a 24hr turn around time, Monday -Saturday. We attempt to return your laundry as soon as possible, but we cannot guarantee same day. (It's a paid option). We do not deliver laundry on Sundays . If you have a pick up on Saturday it will be delivered on Monday. If possible please leave laundry on porch for easy access. Due to our growing business we can no longer specify an exact time for pick-up or delivery. If you would like to be on a regular schedule, please indicate it in the notes below. We separate laundry according to colors (lights, darks, etc). We will make every attempt to separate them when folding based on adults (female/male) and children (female/male). Please make sure that all items have been removed from pockets prior to pick up. We will not be responsible for pens, chap stick, etc that may stain the clothes during services. We also try to mate the socks but should you have more than 15 pairs of socks they will be placed in a bag. We place all button down dress shirts and military uniforms on hangers. We do not check items for dry cleaning instructions. It will be assumed that everything in your bag should be laundered unless specified. If you have any other special instructions place them in the box below! An attendant will call/text for payment. 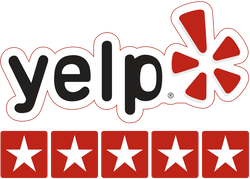 Click to see our reviews on YELP! Example of what 25lbs may look like. Please note that certain materials may weigh more or less....the bag is simply a reference! * clothing items that bleed, shrink, or otherwise change as a result of normal washing. * lost articles unless proven we were responsible for loss. * any items left in our store over 30 days. * items labeled "hand wash only" or "dry clean only" ....we are not responsible for checking labels. Please check before dropping your items off. * loss of or damage to any personal or non-cleanable items left in clothing such as money, jewelry, cuff links, belts, or anything else. Though we try as hard as possible to track these items, we are not responsible for them. Laundry Day does not guarantee removal of all stains. Laundry Day reserves the right to refuse customers or refuse cleaning any item. Laundry Day will NOT clean clothing infested with bed bugs, mites, fleas or any such contagious parasites or insects.